Seagate Technology, one of the oldest hard drive companies still in business, is apparently working on getting an internal 4TB drive for desktop PCs on store shelves by November of this year. The company recently released a new GoFlex external drive with that capacity a few weeks ago; it is likely that both the drive within the GoFlex case and this upcoming internal model will be the essentially the same, perhaps with improved firmware. Under the hood, it looks like we will have five 800GB platters rotating at 7200 RPM, a 64MB cache and, most likely, a standard SATA 6Gb/s interface. You can probably bet that Seagate will put these in its premium Barracuda XT series, meaning a nice five year warranty and (hopefully) outstanding performance. 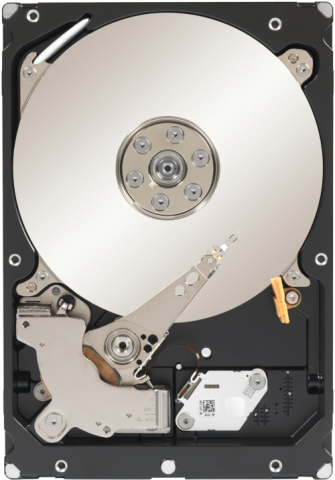 UPDATE: Amazon.com are now selling these drives en masse, though with four platters inside and a slower 5900 RPM rotational speed. Externals don't count they're usually two 3.5 drives side by side. Of course, high performance or not, these are probably better to be used as storage drives, particularly for those looking to store hundreds of gigabytes worth of high-definition video or photos. Be sure to keep regular backups, though – 4TB is an awful lot of data to lose in the event of a drive failure (as if 3TB wasn’t enough! ).